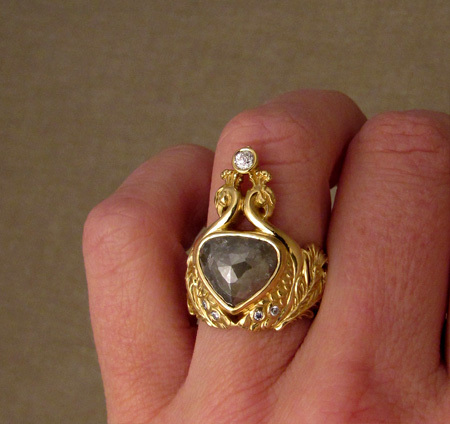 Seriously epic double peacock ring in 22K gold! 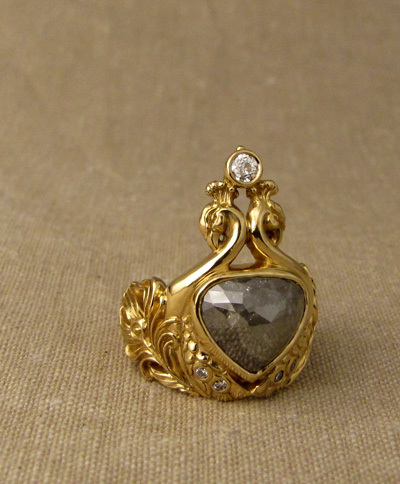 6+ carat gray diamond center, .14ct antique Old European Cut diamond at the top, and four 1.5mm diamonds in the wings. 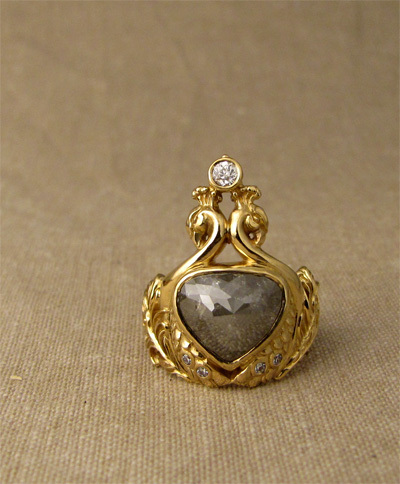 We started with the stone: a gorgeous high-domed rose-cut diamond with a cool steely gray color. We went back and forth on the metal color: rose gold, 18K yellow, etc. The design was to be art deco (oh boy! ), and then as the design took shape, it seemed only fitting to go all out with 22K.